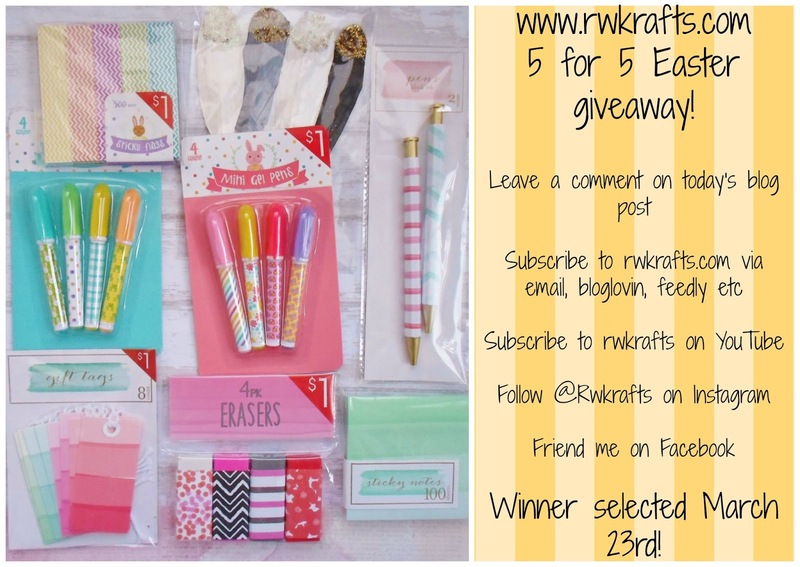 Hello and welcome to Day 3 of our new 5 for 5 Easter Blog Event! 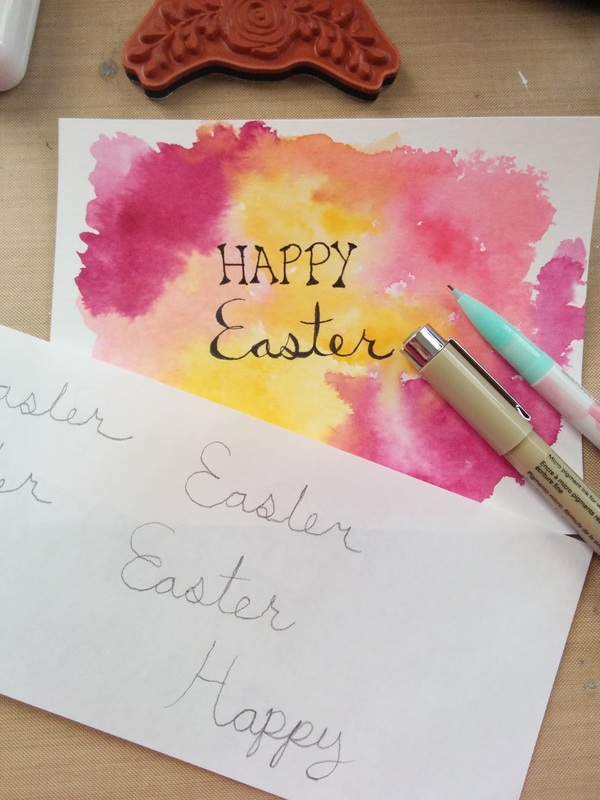 Each day our designers will post an Easter project based on that day’s theme. Today’s theme is WATERCOLOR! Some of us are even offering prizes, so be sure to leave comments on each of links below for details on how to win! First I have to apologize for getting my post up a little late today. Life. Am I right? But I hope it's worth the wait... I'm really excited that I tried something new for today's card! Practice Practice Practice! Then more practice! I added the little flourish to the bottom corner using stamps from the March Unity Sentiment Kit. I color the stamp with Distress Markers, sprayed the stamp with water, then stamped onto the paper. This gave the flowers a watercolor look to match the card. Keepin' it real again. All the crap that gets tested and tried before they make it on the finished card haha. I will never be a fast crafter! It's wonderful.....and you are soooooooooo brave to put your own handwriting on the card. Love the pretty background, which reminds me of a blazing sunrise, and the stamping in the corner with the beads. This turned out beautifully. Love the watercolor ideas... I just bought a set of them and I am anxious to start playing! 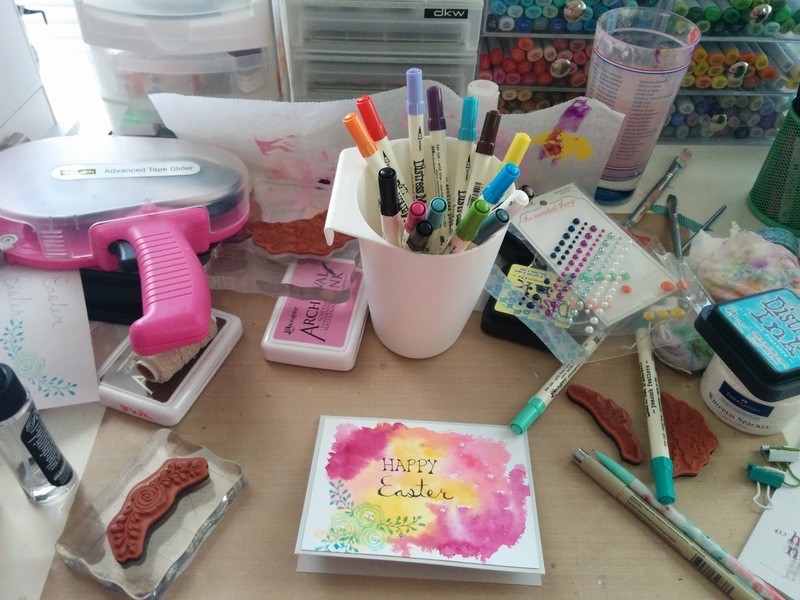 Beautiful colors on your pretty card, and I think you did a great job with your sentiment! thank you so much denise! i LOVE my peerless watercolors... one of the best crafty things i've purchase this year. Wow wow wow! Gorgeous colors and watercoloring. Kudos to you for handwriting the sentiment!!!! Love the combination of stamps, watercolor and handwritten elements! Already an email subscriber and Google follower! YouTube subscriber as karen ladd! Already a FB friend!!! Yay! Beautiful background to showcase your handwritten greeting. if I write real slow my handwriting is legible. Congrats on the penmanship success!! The writing looks gorgeous and so does your amazing background. And I love the teeny addition of that pearls - the perfect finishing touch. I'm doing ALL the things except instagram (because I don't have it). Gorgeous watercolors! I wouldn't've guessed that was hand lettering. Love the pretty watercolor background and your handwriting is very nice, Rachel. I am one of your YouTube subbies. Way to go trying something new! I like the watercolor and am so impressed with the handwriting. I didn't even realize it wasn't a stamp at first! Maybe I will try too. Practice, practice, I know! Wow, I like your contest! I subscribed via Bloglovin and I subscribed to your email to. And in one second, I will jump on my phone and follow you on Instragram. Fun! I am now following you in Instagram! Very impressed with the handwriting, love the embellishments too. TFS. Beautiful card Mrs. Pink & Yellow! I think your handwriting looks great. Here's to you for trying something different. I did that for Friday, check it! Awesome great great card love the watercoloring and awesome handwriting. What bright and springy colors!